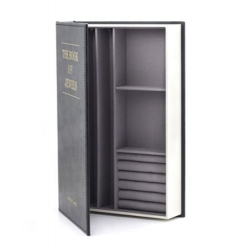 The perfect place to hide your secret treasures. 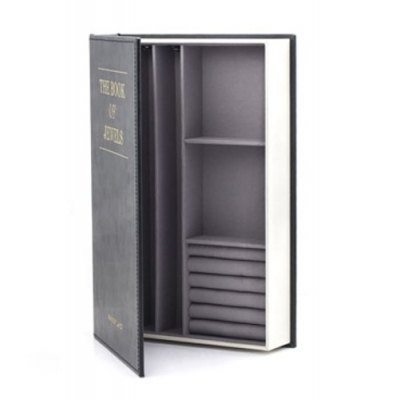 This secret jewellery box is able to store and hide your personal accessories in an obvious, yet unobtrusive way - especially if mixed in with other books on a shelf. 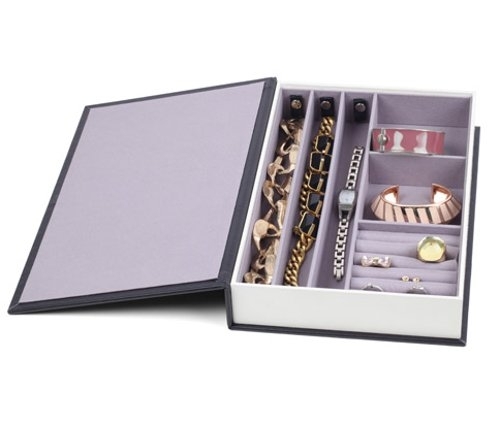 Bound in PU black leather this jewellery box has six different compartments, three of which can be used to store necklaces, two that are designed to hold bracelets and the final one which is able to securely hold rings. 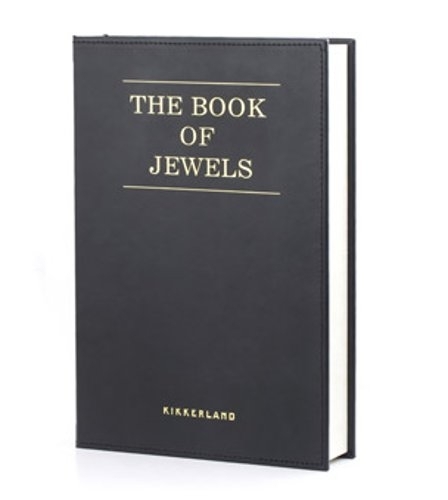 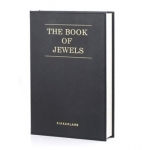 A magnetic clasp ensures your "book" remains closed and sealed.